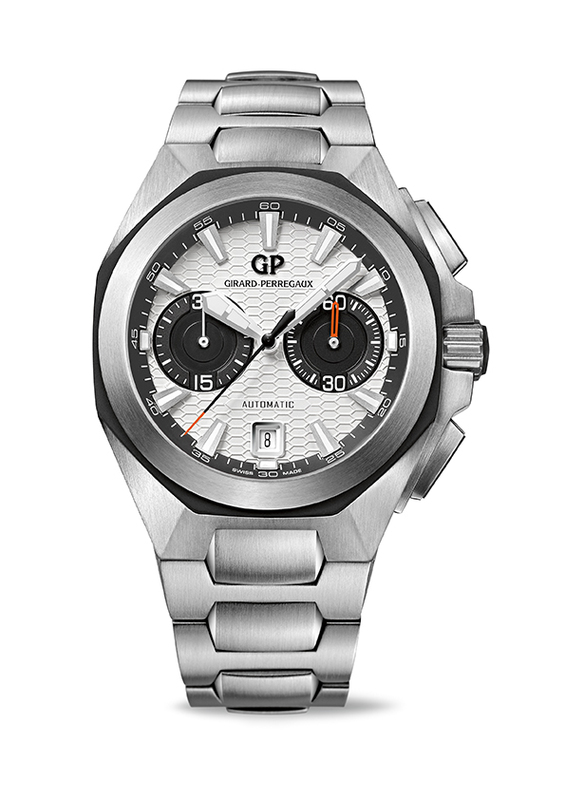 The Girard-Perregaux Chrono Hawk, the brand’s sports chronograph, is now available with a chunky, integrated bracelet equipped with a micro-adjustment clasp. 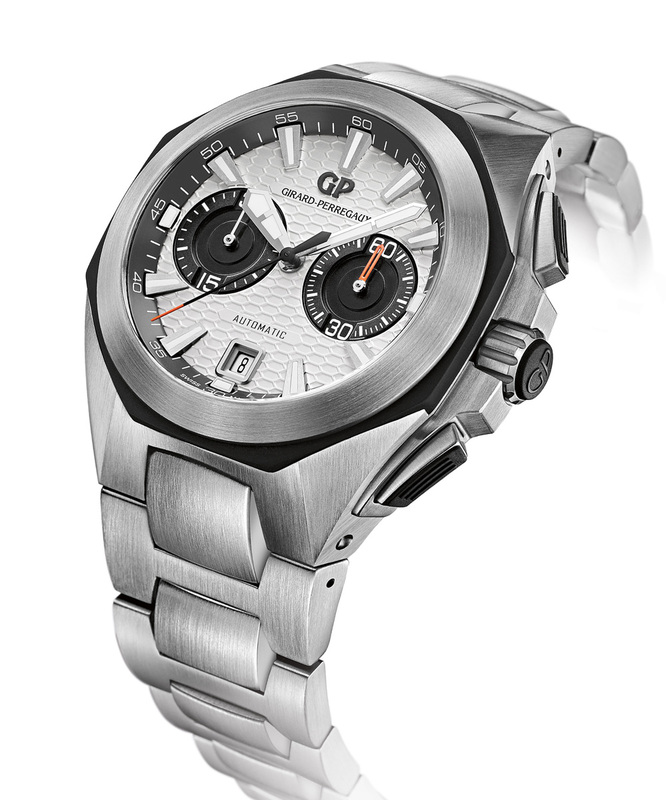 First launched last year on a strap, the Girard-Perregaux Chrono Hawk is now available with an integrated bracelet. 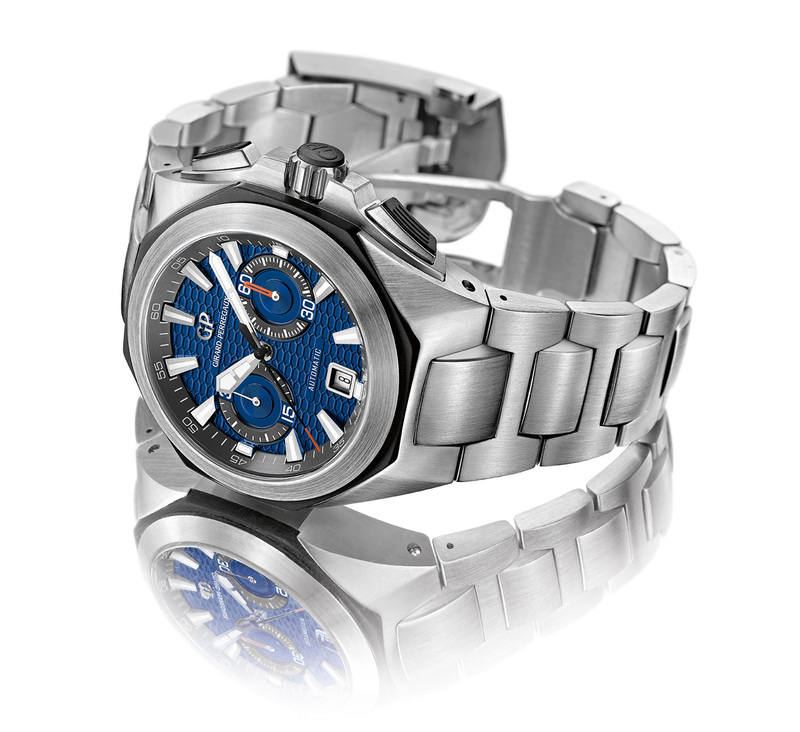 Descended from the Laureato, the brand’s first sports watch, the Chrono Hawk is a chunky, sculpted 44 mm case. The bezel is steel, with an octagonal black rubber base. Rubber inserts top the crown and chronograph pushers as well. 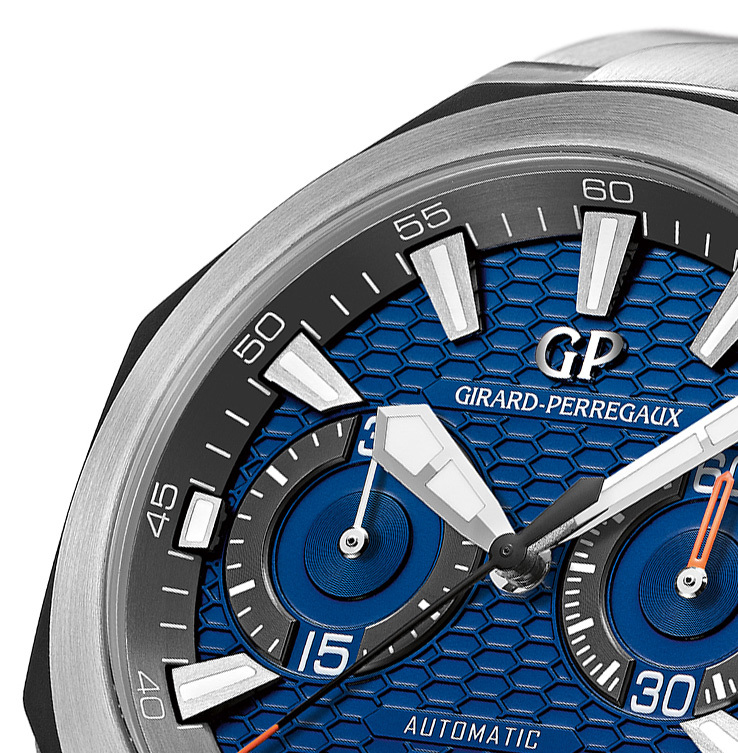 Two dials are available, white or blue, both decorated with a guilloche inspired by the shape of GP’s signature tourbillon bridge. The movement inside is the automatic GP cal. 3300, which is the cal. 3100 with a chronograph module on top. The modular construction explains the relatively high jewel count of 61. The Chrono Hawk on bracelet retails for US$15,100 before taxes. 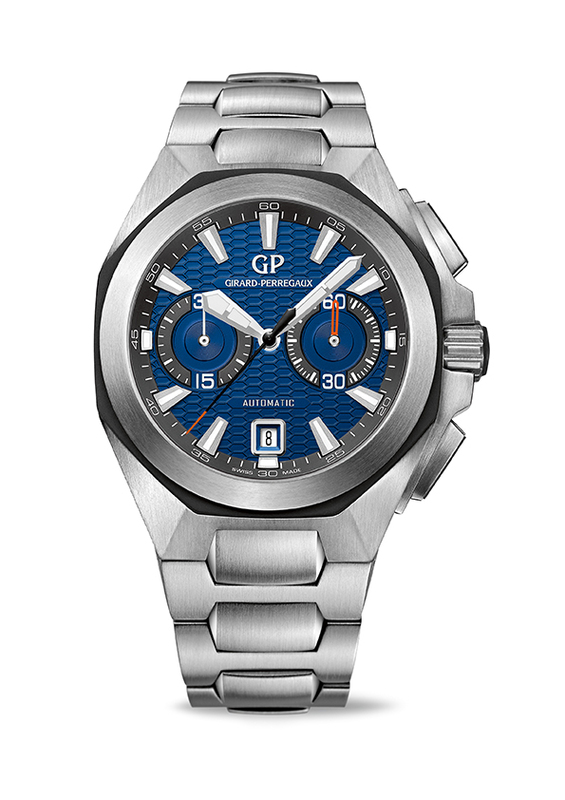 This model can be fitted with the rubber strap as well. – SJX Follow us on Facebook, Instagram and Twitter for updates and news.